At first glance, this looks like a collaboration between MTV’s Pimp My Ride and Toys R’ Us, that was put together by someone with an O.C.D. 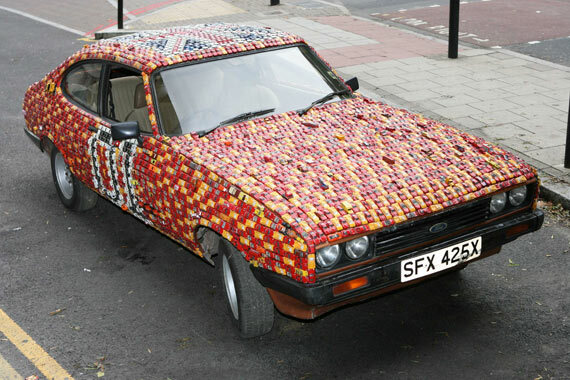 However, it’s actually the handiwork of James R Ford, an artist with a background in the Fine Arts. 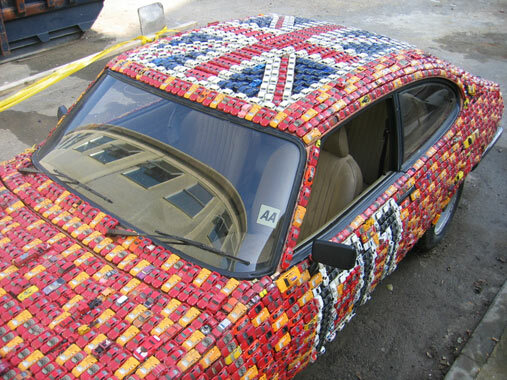 Originally from the U.K., he currently resides in Wellington, New Zealand. Drawing inspiration from the iconic car featured on the Dukes of Hazzard t.v. 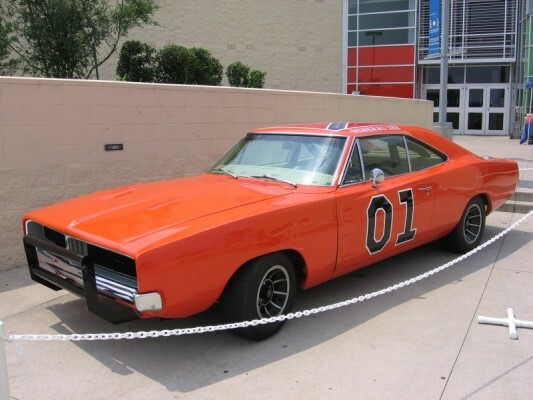 series, the General Lee, Ford created a much cooler doppelganger dubbed the General Carbuncle. 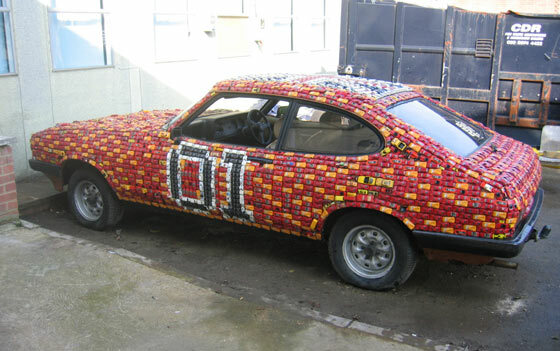 He took some liberties with his interpretation by using a different car model (a Ford Capri instead of a Dodge Charger) and swapping the Confederate flag featured on the roof of the original, for a Union Jack on his version. 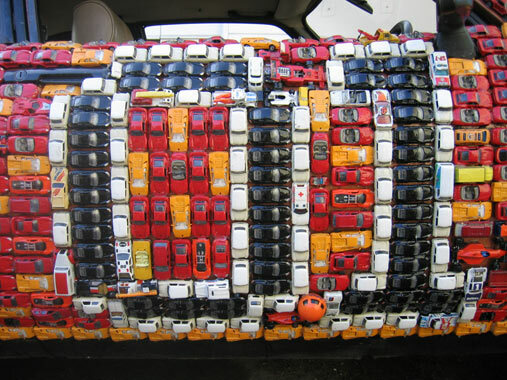 The sculpture was assembled over a three year period using approximately 4,342 toy cars and let’s just say, quite a bit of glue. What I really enjoy is that James R Ford found a unique way to obtain the necessary supplies and to make the project interactive. 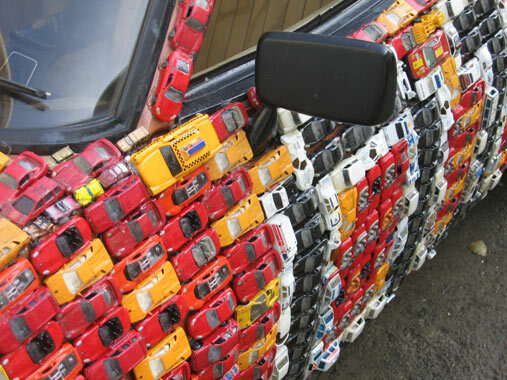 He purchased some of the toy cars himself but also asked the public to contribute their unwanted toy cars. Those who contributed were allowed to either write a message or leave their signature in some other form on the cars they sent. Where else would you get the opportunity to sacrifice the Hot Wheels you’ve outgrown, for a chance to make art. thanks for sharing this web blog publish. This weblog seems to get a good ammount of visitors. How do you get traffic to it? It gives a nice unique twist on things. I guess having something authentic or substantial to give info on is the most important thing. I wish I could create as nice blog as yours. You’ve loads of readers I wish I could develop as nice blog page as yours. You have a great deal of followers it makes sence as your content material is really good. I admire the beneficial info you supply inside your articles. I will bookmark your weblog and also have my kids check up here often. I am fairly positive they’ll learn a lot of new things right here than anyone else! I am a Boston Taxidriver and I was doing a search for the keyword Boston Taxi when I found this blog. I must say I revere the thoughts you have outlined with us and look forward to retruning and more. Thanks for taking the time to post this content. It is always educatingto read someones perspective. I need to make some time to come back and browsethe otherof the content . thanks. Hey! Wherever is your rss link? I woul like to subscribe.